is aware that mercury vapor, dental infections, can have a negative impact on oral and overall health. Because of this concern, the office focuses on patient education and strive to remove mercury amalgam (silver) fillings in a safe way. To accomplish this, Dr.Zraigat utilizes removal protocols for safely removing amalgam fillings. The protocol is based on the recommendations of the International Academy of Oral Medicine and Toxicology (IAOMT) and New Directions Dentistry (NDD), which has set the standard for practicing mercury safe dentistry. Dr. Zraiqat has completed the NDD course, and received his Certification, in How to Make Your Practice Mercury Safe - Minimizing Occupational Exposure to Mercury in the Dental Office. This is the only course of its kind offered to dentists and qualifies him to remove mercury amalgam fillings safely, protecting himself, his staff, his patients, and the environment from excessive and unnecessary exposure to mercury vapor at the dental office. Holistic & Biological Dentistry is a philosophy that recognizes that the teeth and associated oral structures are a part of the whole body. This Whole Body philosophy stresses the use of bio compatible dental materials whenever possible. 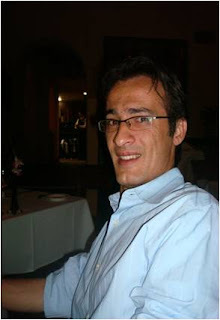 Dr. Zraiqat is a founding member of the American Academy of Ozonotherapy and has had extensive training in ozone therapy. 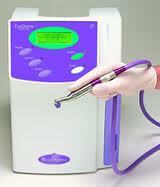 Ozone Therapy in dentistry has a number of uses to support traditional dental treatment. These include disinfecting the bacteria that causes tooth decay, support for periodontal treatment and as a support treatment to help disinfect root canals. This effective, non-toxic, non-invasive treatment has been shown to be effective in the right situation. Dr. Zraiqat is certified by the American College of Integrative Dental Medicine (ACIDM) and is a member of the International Association for Oral Medicine and Toxicology (IAOMT).